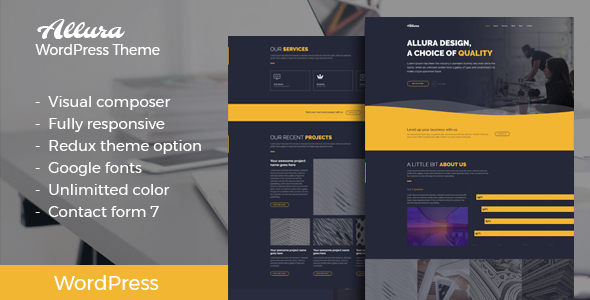 Allura is a responsive portfolio WordPress Theme with a modern and creative look. Allura is ideal for a portfolio, small agency, startup or a small business website. Theme Allura donâ€™t support dropdown menu. Visual Composor Page Builder with Drag and Drop layout â€“ 20+ web element .